"And Daisy's married Tom the grocer boy, And now he owns a grocery." 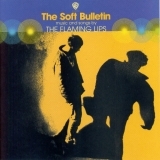 The best album by The Flaming Lips is The Soft Bulletin which is ranked number 94 in the overall greatest album chart with a total rank score of 26,113. 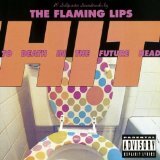 The Flaming Lips is ranked number 48 in the overall artist rankings with a total rank score of 63,016. Members who like this artist also like: The Smiths, Pixies and Sonic Youth. Farm Bureau Insurance Lawn at White, Indianapolis, United States. Stone Pony Summer Stage, Asbury Park, United States. Charlotte Metro Credit Union Amphit, Charlotte, United States. 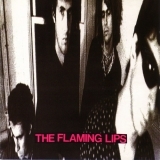 This may not be a complete discography for The Flaming Lips. This listing only shows those albums by this artist that appear in at least one chart on this site. If an album is 'missing' that you think deserves to be here, you can include it in your own chart from the My Charts page! Showing latest 5 ratings for this artist. | Show all 182 ratings for this artist. • Noise rock: Studio albums from their inception to around the time of Clouds Taste Mettallic, they made really fun, raucus noise rock. There's a ton of it, and it's all really good. They started out a little more lo-fi and abrasive, and got better produced as they went on. It seems like everyone has a different favorite album from this era, the only consistent thing being that everyone thinks it rocks! 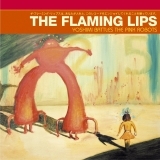 • Psychedelic art pop: The Soft Bulletin and Yoshimi, both of which are quite highly revered. Still very fun, but less noise and more weirdness. More baroque and pop sensibilities are showcased here. Soft Bulletin is a little weirder, Yoshimi is a little poppier. 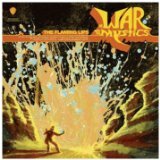 At War With Mystics could also be here, but is more of a pop-rock kind of affair, though it is a little scattered and inconsistent. 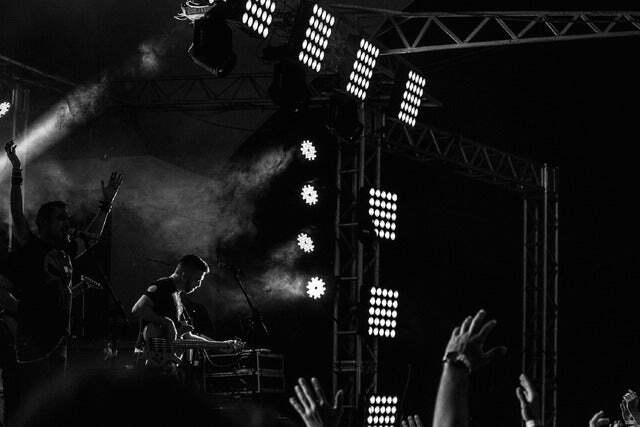 • Increasingly electronic: Embroynic (electronic experiemental psych-rock), The Terror (electronic rock, bordering on ambient at times), and Oczy Mlody (psychedelic electronic pop) have been increasingly electronic. This is an inexact grouping as all the albums sound pretty different from one another, but there seems to be a general trend. This era is not my personal favorite, but some really love it. The Terror is the highlight of these for me. • Zaireeka: A weird project released on 4 different CDs or vinyl records, that have to played simultaneously to get the full effect. Most similar to the Soft Bulletin in sound. • Cover albums: With A Little Help From My Fwends (Sgt. Pepper's), Playing Hide And Seek With The Ghosts of Dawn (In The Court of The Crimson King), and The Flaming Lips Cover Dark Side of The Moon (self explanatory) are three great full-length, track for track covers. They usually employ a whole host of collaborators and such, so they are not fully Flaming Lips albums, but they are all surprisingly good. Fun and wacky in the usual FLips way. • 7 Skies H3: A personal favorite of mine, and one of my favorite albums of all time, it consists of selections from a 24 hour long song they did at some point. Its closer to post-rock than anything else. Its really cool and moody and atmospheric. Most similar to the terror in sound, though this album seems to have something special to it that the terror lacks, at least for me. • Strobo Trip: An awesome 2011 EP that, despite being 3 songs, is 6 hours and 11 minutes long. This is becuase the middle song, "I Found A Star on the Ground", is a 6 hour post-rock/krautrock/psych-drone masterpiece. It's a really cool experience if you have the time. • Christmas on Mars: This is the ambient soundtrack to some weird indie movie they did in like 2008, which I haven't seen yet but would love to (If you have a link or something for it plz hit me up). The soundtrack is very cool, but don't expect it to be anything like anything you've heard of theirs before. • Imagene Peise / Atlas Eets Christmas: A surprisingly good and tasteful christmas album, consisting of christmas standards played on piano by Steven Drozd. It's not super traditional, but it doesn't sound anything like what you would expect from the lips either. It's kinda jazzy even. Check it out next holiday season! 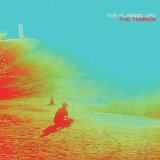 • Collaborative EPs: In 2011 or so they released around 8 EPs with a bunch of different artists, the highlights of which were collected on The Flaming Lips and Heady Fwends. I don't personally like most of these collabs very much. • Miley Cyrus & Her Dead Petz: This may be the weirdest thing they've done. Miley Cyrus and Wayne Coyne (Lips lead singer) befriended each other, and that led to what is essentially a collaborative album between the Lips and Cyrus. Some people really don't like it, but to my own surprise, I found it to be one of the coolest things they've done. It heavily influenced the sound on Oczy Mlody, if you like that one. If I missed anything (which is possible, but honestly seems unlikely), lemme know. And most of all, I hope you love them as much as I do! There's so much to love! Their early stuff is COMPLETELY different to their later stuff. 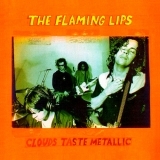 The first album I heard was Clouds Taste Metallic and it put me off listening to them again for years! (Sorry if that's your favorite, it just wasn't for me.) Moral of the story: give their discography a fair punt. If you can't warm to The Soft Bulletin you still might dig Clouds, or Embryonic. A sort of midwestern take on early Yes/Baroque Pop/Alternative. Quirky and intricate. They run a good spectrum of modern reinventions of psych pop/rock. Not always consistent but The Soft Bulletin is one of my favorites of the '90s. Des musiciens un peu barrés , des morceaux planants , que demander de plus ? Je ne connais pas toute la pléthorique oeuvre de ce groupe mais les albums que j'ai écouté m'ont plutôt séduit. Whenever I hear one of their songs, I feel a sense of transcendence every time. Wayne Coyne's voice is flawed but it's memorable and full of personality. The themes and messages he writes are also very potent and inspiring. Steven Drozd is an absolute master at his craft. The other members are important for keeping balance for the band. I can't believe that they've held their career for 25 years and still stay relevant in the eyes of music listeners. They are one of the most purest, most genuine bands to come out in, well, ever! Also, seeing them live is one of the things I must do before I die.